Microsoft built several Surface phone prototypes to safeguard against a Nokia Lumia Windows Phone failure, according to reports on Friday. The software and devices giant developed the handsets as a back-up plan if Nokia proved unable to produce the goods with its early Lumia devices. However, that scheme was put on the back burner, according to The Verge, as Nokia's handsets lived up to expectations and it became apparent that an acquisition might be in the pipeline. Nokia aside, the company has struggled to convince other manufacturers to dedicate significant support for Windows Phone as the likes of HTC, LG and Samsung focus on better-selling Android offerings. 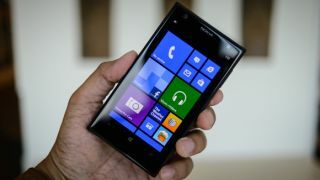 The reports surfaced on the same day it was claimed Nokia experimented with the Android OS, before deciding to throw its eggs into the Windows Phone basket. The New York Times reported that the Finnish company has tested Android on an existing Lumia device and claimed the task of porting the OS to its existing was not "herculean." The revelations leave Nokia hardware fans - and probably some shareholders - wondering what might have been if the company had pulled the trigger on its Android experiment. You'd have to think, with Nokia's vastly superior hardware design history, it may have wiped the floor with the plastic-fantastic galaxy offerings from Samsung. Unfortunately, we'll never know. Read about Huawei still being on board with WP8 despite the Nokia buyout.